When it comes to selling your boat is there any other way you would rather have it sold than FAST? Unfortunately for most sellers, and even boat brokers, our boats will end up where they usually do: On a lot, in our driveway, or at the docks collecting dust, rust, and even more in additional repair bills. To make matters worse, the longer your boat takes to sell, the lower the amount of money you can ever hope to get for it becomes. I have used many boats over the course my life, but more importantly, I was blessed to have the opportunity to sell them for a few years in my own Florida Dealership. 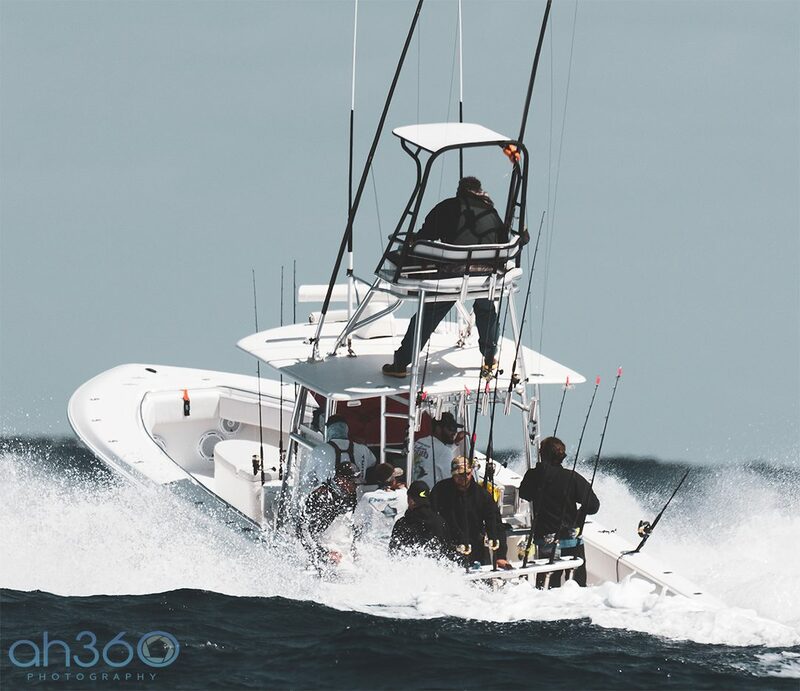 I am writing this article to help get you over that steep learning curve that I experienced so that you know exactly how to sell your boat fast, and get that money back to buy another one! By the off chance you may be wondering why a photographer would discuss selling a boat, it’s important to understand that the most (And I do mean most) important part of selling your boat will be the quality and quantity of your pictures. Don't seek the help of any business you found on Google with: "Sell My Boat". They are there to maximize (Heavily) their profit, not your bottom line. How much should I sell my boat for? For most people selling a boat, the price “Isn’t Right”. And what I mean by that is that they either set their price to low (Assuming their boat is old or undesirable) or too high (Assuming because they love it and poured money into, everyone else should). One thing that is for sure, unlike a car, is that you are not going to find your identical boat out there. Someone will have the same hull but upgraded motors. Another boat owner will have the same motors but more/less electronics. You will get in the ballpark easily, but the rest you will have to use your best judgment. Best practice here is to consider what it would cost someone to upgrade then back down from that (Because people don’t pay in full for other peoples upgrades). 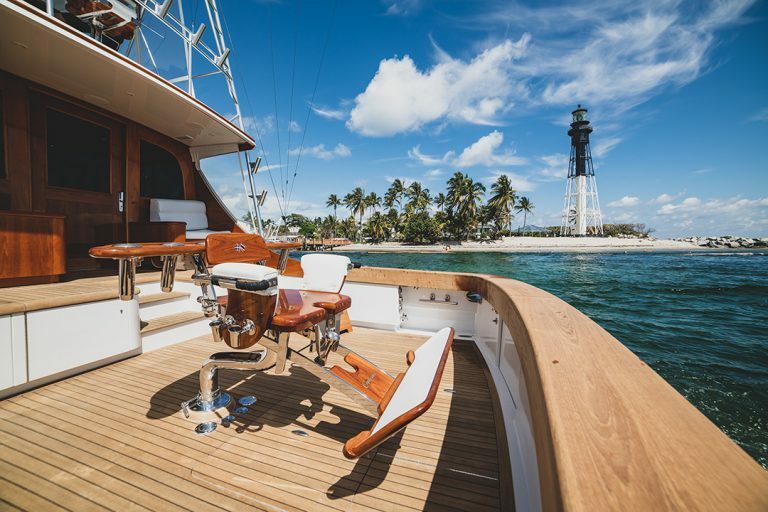 Some might suggest that you call a boat or yacht broker for advice, maybe even inquire about a similar boat to get a gauge on the current market. The only reason I am hesitant of using this strategy for gauging your proper price is due to the average time boats sit on broker lots these days. If they are not selling them fast, do you want their opinion factoring into your listing? A broker isn’t inclined to move a boat, a broker is inclined to make money. If they can’t get a boat sold over a certain price, they are not going to sell it. You, on the other hand, may get a call for an offer a bit lower than what you want, but decide on your own that it’s time to sell. That’s a decision you take out of your hands if you send the boat listing to a broker because they will be the one fielding phone calls and offers. Of course, if you know of a broker with a positive success record, by all means, it would absolutely be a good move. However, just as with cars- Don’t invest heavily in what a book tells you. The value of something will always be: What someone is willing to pay for it. The only value I would put on these book values is that they tell you how expensive they think your boat is to the bank. That’s useful information for potential buyers for sure. What you may owe the bank for your boat has nothing to do with it's value. In case you skimmed over it just before this section, I want to highlight again the importance (Both as a seller and as a buyer) of understanding that upgrades or restoration costs to a boat do not pass on directly to a buyer. 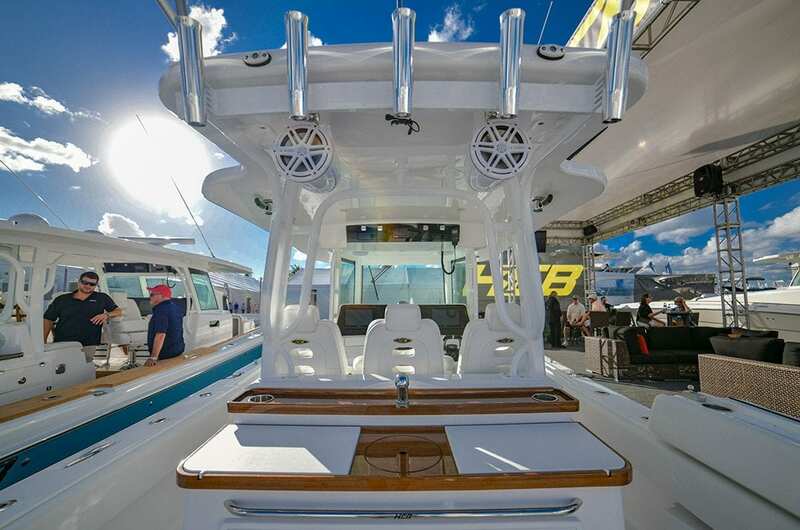 You may have loved that new Garmin Electronics upgrade, but your buyer is a Raymarine fan. Why should they pay full price for your favorite gear? They won’t… They just won’t! There is a difference between throwing out discounts when someone is with you looking over your boat and providing them in the listing. You need to drive traffic, and the only way that will happen is with a competitive price. Remember, the longer she sits, the more you pay in maintenance. One of the biggest factors you have helping you if you are a private seller is that brokers need that extra money on top, so you should be cheaper than most boats out of the gate. Please Don’t Call Me, I’m Unreasonable. I will repeat this several times, because it’s important: Defend your price! No one, no matter how fair they think your price is, has any intention of paying your asking price. It seems at times that it’s sort of implied that an asking price is a figment of your imagination and that you should “Have room to negotiate”. Among the many steps we have and will cover to make your price even stronger, possibly the best move you can make is to order a Marine Survey. These guys aren’t cheap by any means, but their work is ironclad. Think of it this way: If the survey costs $500, wouldn’t most people have tried to beat you up for at least that much off the price? From my experience surveys save more in negotiation than they cost upfront. You’ve got your price nailed down, but it’s still not time to take pictures of your boat yet or even make the listing, and why? Because it’s full of all of your stuff! Now is when you start getting your boat prepared for selling, and everything that comes with it. Remove all of the non essential stuff out of the boat. Good rule of Thumb: If someone were driving it away now, is there anything you would need to take out of it? -Real Estate Agents do this all the time, right? It’s called staging. You set up the house to look/feel as if it’s something anyone could move right into and use. That’s exactly what you are doing here because not only are you establishing what does and doesn’t come with the boat, but you are also beginning the process of cleaning it for great pictures. -Call in a professional detailer if you can. Most of these guys work for boat dealers and brokers and know exactly where to look for dirt and grime. The average boat detailer (Worth a darn) is going to charge you around $12-$17 a foot for cleaning without buffing and waxing. Add on the extra process of shining up a dull hull and you are probably looking at around $20-$25 a foot. I should also mention that these numbers are typically for boats under 30ft. As anyone knows, once you hit that 30ft mark- Everything gets more expensive! The reason you don’t want to put the cleaning all on yourself (If you can afford it) is because you just don’t see those crevices that a buyer will. And to be honest, they don’t really notice them either, they feel them. You know that feeling you get when you get in your car or walk into your house after it’s been cleaned? You can’t pinpoint why you got that feeling, you just knew. Well, people buying a boat will be the same way, and the worst part of it is the fact that it’s not something you can pinpoint. So, what will happen is they will have this ehhh feeling and just never call you back. Chances are, those buyers just got a bad feeling about your boat. Shine the hull and interior painted/gel coated surfaces. Polish or wax at a minimum, buff with compound if needed. Clean/Check every single door, cabinet, hinge, locker, etc for dirt. If it opens or move, buyers will touch it and look. Hit any rust with rust remover. (strong if possible, or something more natural like white vinegar if it is around sensitive areas. Scrub walking areas (Seadek or Non Skid). For non skid use Magic Erasers. Trust me!! Perform Routine Service On Your Boat. -Don’t go overboard here (Yeah, bad pun) by fixing EVERYTHING on your boat. What you are trying to avoid is having a potential buyer assume that before they get on the water they will have to undergo some type of repair. I recently sold a boat and although I had the injectors cleaned I left a door that was cracked alone. One item meant a better experience, the other was just aesthetic. Don’t Forget Your Have A Trailer. The condition of the trailer doesn’t have to be immaculate, but if it’s bad enough it will take money from the sale price. When you are selling anything to anyone their goal is always going to be to find a boat they like first, and following that to find as many problems as they can to drive down your price. So, your goal is to give them the least amount of ammunition to come at you with so you can better defend your price. Take both Wide Angles & Close Up Photos. The top boat dealers in the county know that people want to see details, but that they also want to feel the space of the boat, so their photographers will often use lenses as wide as 14mm (Like in the picture above) to give people the sensation of having a lot of space. Taking a picture with a regular lens may make your boat “FEEL” smaller, and that’s rarely ever something boat buyers are shopping for! Make sure to capture all of those areas you meticulously cleaned up. Focus and highlight them! You want people to look at your listing and think, “Man, this person was crazy about their boat”. Always wait for the best lighting- It may be cloudy today, it may be cloudy tomorrow, but you must wait for good lighting unless of course, you are selling a commercial fishing boat in the Grand Banks. When people are thinking about being on the water it’s probably a sunny day they are imagining, and that’s what pictures of your boat should line up with so they can see themselves driving it on that perfect day. Another good reason to make sure you get great sunlight is so that your listings stand out on websites next to someone else who may have been in a hurry to take their pictures. Get Moving- Pictures of you boat sitting on a trailer or at the dock are OK, and by all means if that’s all you have time for, then so be it. But if you can swing it, take the boat out, better yet run it at full speed. 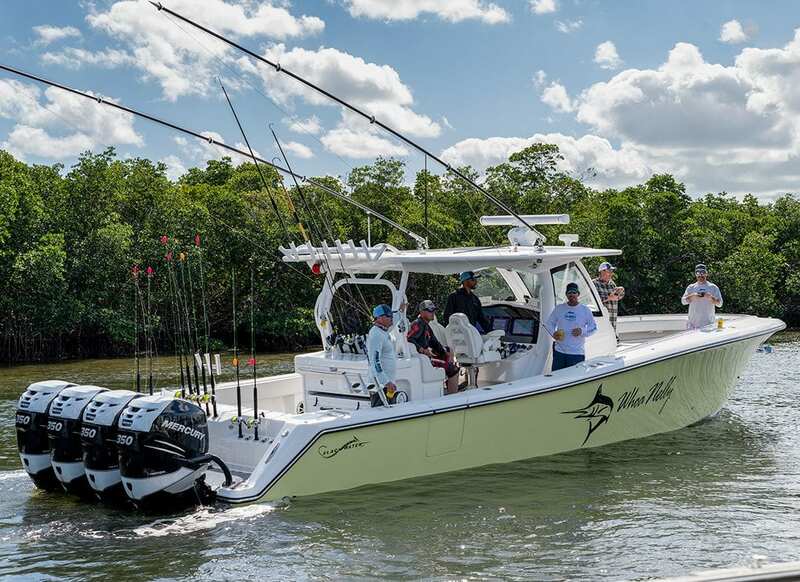 Not only are you again allowing potential buyers to see themselves on your boat in action, but you are also adding some validity to the fact that it runs and drives just as you are describing. Take As Many Pictures As Possible- Your boat is as clean as it can be, you have the time, so knock it out now and shoot as many photos of your boat as possible. Yes, most listings don’t allow unlimited photos, but people that call will almost always ask you for more pictures (Believe Me). Another good reason for more photos is that you increase the likelihood of garnering interest from distant buyers as someone farther away will want as much information online as possible. If they can verify your boat is worth the drive on their computer, they may give you a shot. Make note of anything that changes: If you have a top that is removable or chairs with cushions that come on and off for cruising or fishing, make sure to take pictures of those and keep them side by side in your listing. Look Your Best, But Don’t Lie- This is the one that I see people doing the most. They assume (like a shady dealer) that if they can make their boat look better and get more people to come that the boat will sell faster or for more money. NO, you will only have more people coming to find out they don’t want your boat. If the buyer finds a problem, it’s perceived to be that they found a reason to ask for money off (And they will). However, if you present the issue upfront, there is more of an assumption that this issue must already be factored into your price which is exactly how you should frame it. “This (So and So) needs to be repaired which is why I am only asking X. If (So and So) were good I would be asking for more money. 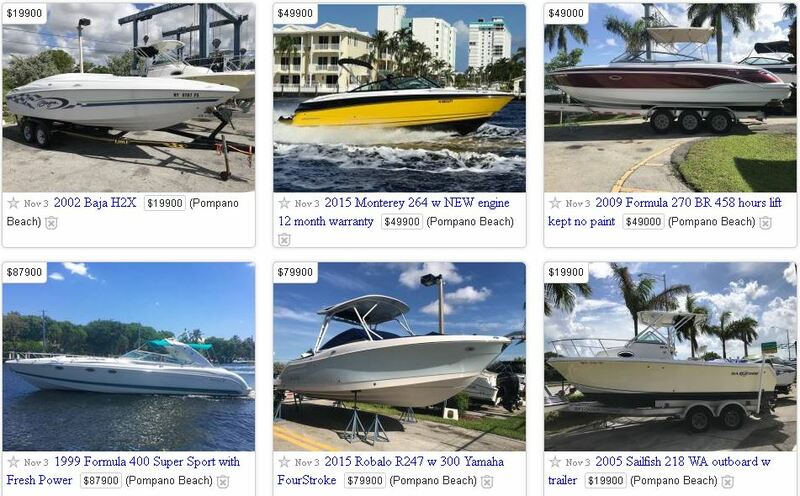 Unlike cars, boats don’t really have many places online that you can list them (And actually make a sale anyway). The other major problem with selling your boat online is the cost- Boat trader and Boats.com want near $200 for a reasonable ad. And by reasonable I mean an ad where you get enough pictures, a video, and decent run time. Looking at BoatTrader, you don’t get anywhere near what you need with anything less than $200, and even then you only get 12 weeks! You are going to want a listing that provides you unlimited pictures and unlimited run times (Or at least long). Yes, I know, this article is about selling your boat fast so you shouldn’t need long lasting listings should you? Well, yeah you should, because it’s a better value and a good back up if you figured the market incorrectly. I feel it’s a must to address selling a boat on Craigslist because it’s that one platform that everyone believes works, but also the platform everyone is the most afraid of. Many of those people will be dealers or “Flippers” offering you significantly less so that they can sell your boat for their own profit. Many of the emails or texts you receive could be (are) scam artists. So, if you are in a rush (Like we are in this article) you should use Craigslist! However, be prepared for the debris that’s going to come in with that flood of action your listing recieves. Tip: If a lot of people are calling you offering you cheap prices upfront, that’s a good sign. Those are dealers or people that flip boats on the side who think your boat is in high demand.